Here in East Sussex the local government is considering closing its Music Service, due to lack of funding from central government. The jury is still out on what changes will be made as the process moves into public consultation, but in the mean time there is one government scheme open to music students nationwide. The Assisted Instrument Purchase Scheme (AIPS) allows students to purchase an instrument for use in their lessons without paying the VAT. This represents a saving of nearly 17% and for those thinking about a next-step instrument this can be quite a large saving! For example an advanced student looking to purchase a wooden clarinet such as the Yamaha YCL-650, would pay the net price of £874, rather than the full price of £1049, a saving of £175. The scheme covers all sorts of instruments, so be sure to ask when you’re looking to purchase an instrument. To be eligible you need to have tuition from a state school or local authority: this includes playing in the orchestra. To make the purchase, go to your school or music service and request the instrument you want under the scheme. They will send us a purchase order, and receive the instrument on your behalf. 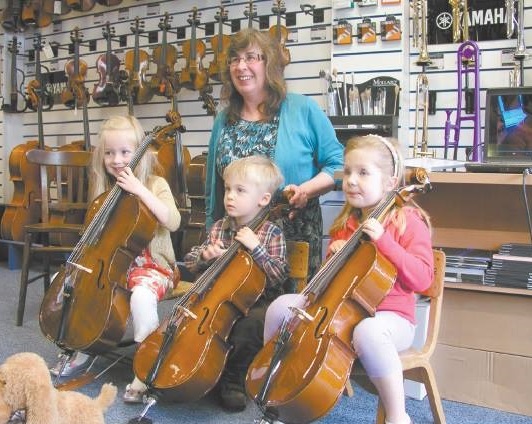 We’re a big fan of the scheme, as it allows more people to take up a musical instrument! Have you used the scheme? How did it work for you? Let us know in the comments.